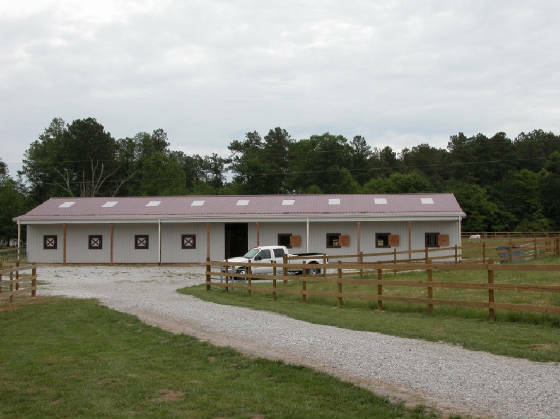 Our custom built facility enables us to offer personalized care for your horse. We feed various premium grains and hays, plus supplements provided by the horse owner. We are always talking to equine nutritionists to feed your horses the best possible option. Our grain and hay is delivered bi-monthly by The Stock Market Country Store. 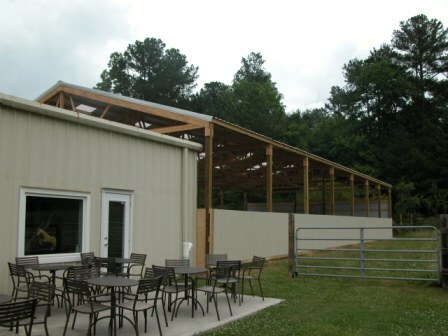 Our veterinary partner is Piedmont Equine Specialists. Our farrier program is every 5 weeks with either Patrick's Professional Horseshoeing or Bent Tree Forge with Eric Gilleland. Our spacious stalls are 12' x 12'. They are made entirely of custom made 2 inch pine tongue and groove with aluminum fittings. Airflow is at a premium due to high ceilings and individual windows in each stall. 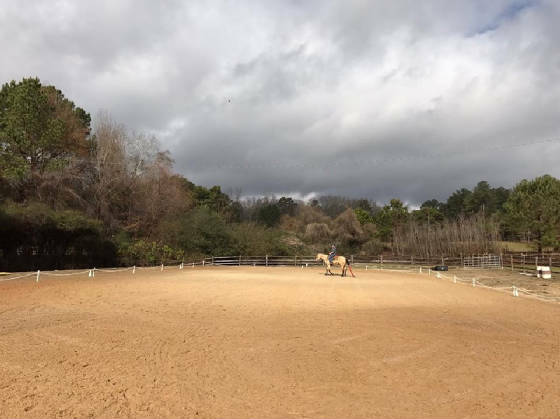 Lighting is provided by individual sky lights and two adjustable lights in each stall as well as over lighting in tack areas, wash bay and aisles. Our grooming bays are matted, as well as our hot/cold wash bay. We have thick, established pastures of fescue or bermuda. 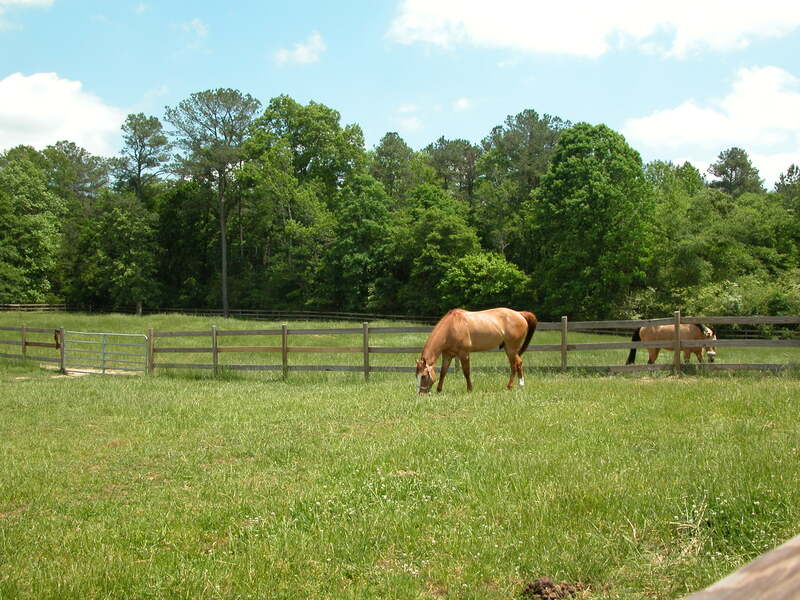 Our pastures are enclosed with 3 board fencing and have at least two gates per pasture for easy access. Group turn out consists of no more than 3 horses, or individual turn out is available. Boarders can also ride on our woodland and pasture trails on the farm. 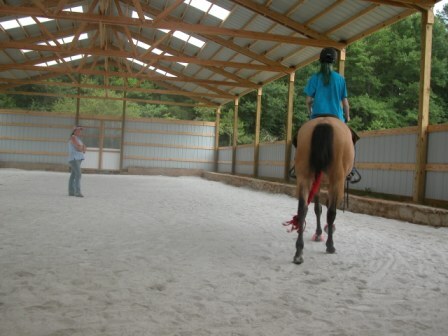 One of our lighted arenas is adjacent to the barn and equipped with poles, dressage letters, cones and other obstacles. A separate and permanent trail course with bridge, mailbox, gate and poles is also available. We also offer a lighted covered arena for when the weather is not at its best. 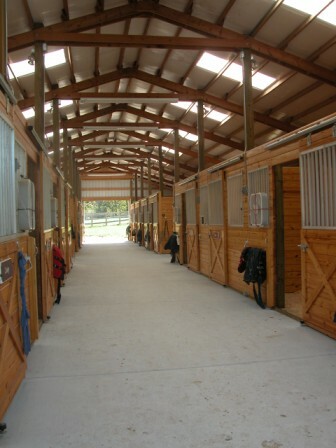 The facility also offers an air-conditioned / heated boarders' lounge, which over looks the round pen and pastures. This lounge includes; kitchen, two bathrooms, fridge, micro-wave, plenty of seating and a meeting area with a wide ranging equestrian library. We also offer washing for small equine items such as saddle pads, polos wraps and towels.